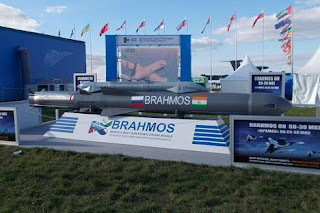 Russia, which already has the Oniks missile system, is unsure whether it will induct the BrahMos Block III cruise missile. But given that it has opted to buy the Su-MKI, designed for India, it is likely it will also buy the BrahMos to equip the fighter aircraft. The Indian Army has the cruise missile Brahmos Block-III, one of the most lethal weapons systems that currently exist in the world, the publication ‘Defence News’ writes. This cruise missile is capable of flights at supersonic speeds, making it hard for enemy radar to track, as well as being practically invulnerable to modern anti-missile and air defence systems.